The first Exhibition of Analytical Instruments was held at the Otemachi Annex of the Metropolitan Industry Hall. Twenty-two companies exhibited their products using a total of 101 booth units. The associate member system introduced. JAIMA was registered as an incorporated association. Published the first issue of the JAIMA newsletter. Published the first issue of the "Analytical Instruments Guidebook." Began exchanging market statistics with AIA (Analytical Instruments Association). 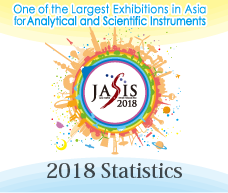 The "Exhibition of Analytical Instruments" was renamed the "JAIMA SHOW" and opened its doors to a wider range of exhibitors. The newsletter was renamed the "JAIMA SEASON." Held the commemorative 40th exhibit. The heritage certification program of analytical and scientific instruments starts. 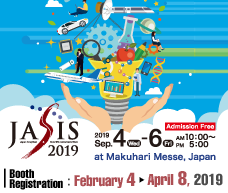 JAIMA EXPO/SIS has been renamed JASIS.